You peeps know that today is Monday, right? You guys also know that today, Monday, is the day I'll be announcing the winner of my giveaway, right? Well, my mom wrote all of our giveaway pawicipators' names on little pieces of paper and mixed them all up in a bag. She randomly chose one name while closing her eyes, and guess who will be getting a fun package of lots of doggy stuff? Our lucky winners are...Millie and Walter! Thanks to everyone who entered, and to Millie and Walter for being pawsome and winning this giveaway! Millie and Walter, please check your email...I need your address if I want to send you a bunch of pawsome things! 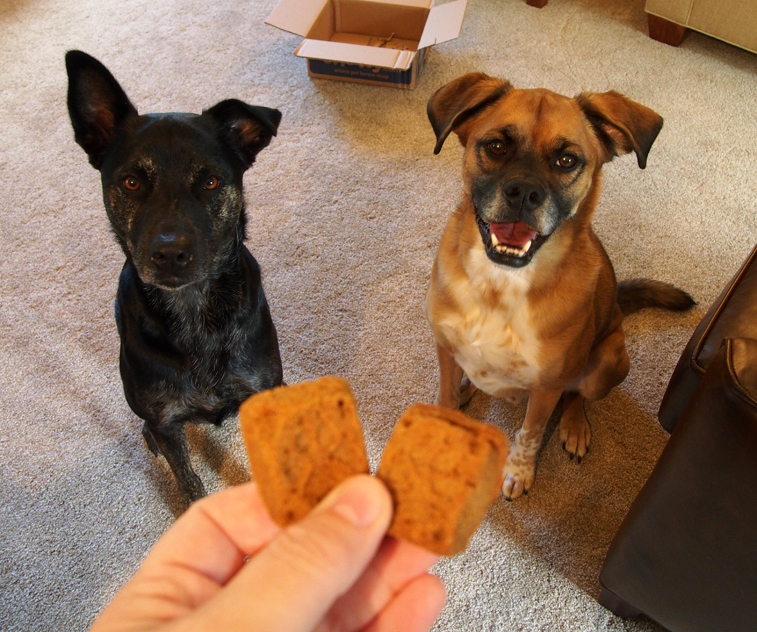 Here's a picture of our winners begging for treats, because why not? participate n your first give~a~way. OMD! We won! Thanks for having this giveaway. We can't wait to see what we have won. Congratulations Millie and Walter! And good job hosting the giveaway, Robin and Chrismas! Aww M how lovely! Congrats to Millie and Walter, enjoy your treats! Congrats to lucky Walter and Millie! I couldn't choose better winners - Congrats to Walter and Milly! Congrats to Millie and Walter!!!!! Congrats to M and W! We know they'll enjoy the prize! Congratulations to Millie and Walter! Millie and Walter, Congratulations! What lucky dogs! Congrats to Millie and Walter. Woo Hoo! They are pawsome furiends.